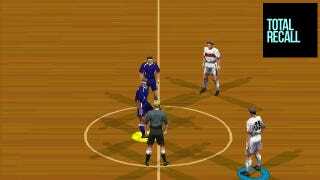 In 1997, EA Sports released a demo disc for the latest iteration of its FIFA football series. Anyone picking this disc up got a lot more than they bargained for. Late last year, Blackbird Interactive's Yossarian King (whose studio is now working on Hardware) wrote a piece on industry blog #altDevBlogADay about building engines. At EA we focused plenty on core tech, but we still never had any plan to sell it...In fact we thought our internal technology represented a significant competitive advantage that we couldn't possibly let [others] have. Though there was an embarrassing incident in which a significant chunk of the FIFA PC source code from 1997 was accidentally included on a demo CD. I suspect that if this fell into Konami's hands it may have set International Superstar Soccer back by several years as they tried to figure out just what we were up to. Insane. The building blocks to one of EA's most lucrative properties, just given away. Nothing publicly ever came of the slip up; it didn't make the news at the time, and Konami's ISS series (now known as Pro Evolution) obviously had its own ideas on the beautiful game, meaning either nobody ever found out about the leak or simply did nothing about it. Still. Can you imagine that happening today?